Looking for the perfect gift for that special someone who already has everything? Gift certificates are perfect for the “hard to buy for” people in your life. 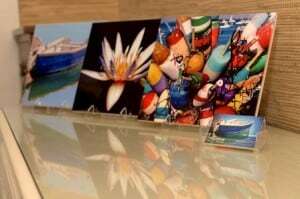 They make excellent gifts for many of life’s special events including birthdays, anniversaries, engagements, weddings and holidays. Memories created are priceless and last a lifetime. Please call (508) 775 2750 to get your Long Dell Inn gift certificate today! Our Comphy Sheet sets sure are comfy!! Sheet Sets are an awesome gift the special people in your life. They make perfect gifts for birthdays, anniversaries, engagements, weddings and holidays, or buy a set for yourself and “Inn”dulge at home! Sets are available for King, California King, Queen, Full and Twin beds. Available colors are white, cream, tea green, blue, chocolate and gray. Sheet sets include one fitted sheet, one flat sheet and two pillowcases (twin set has one pillowcase). 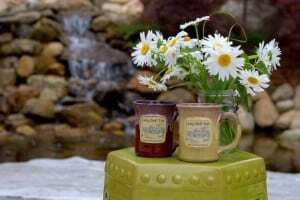 Just give the Inn a call (508-775-2750) to order a set. 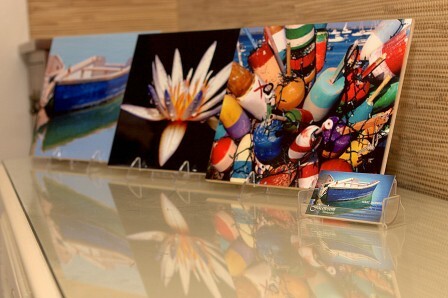 Marc’s photo tiles are the perfect souvenir to remember your Cape Cod vacation. And they make a great gift for friends and family! Float Jewelry understands that no two wrists are exactly alike. They embrace the truth that every woman is different and uniquely beautiful. Their patented three-circle clasp lets the wearer adjust our bracelet to three sizes, resulting in an individualized, custom fit. 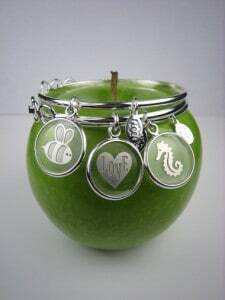 The three circles on our clasp symbolize: Love of Self, The Circle of Friendship & Family and the Universal Connection that bonds all living things. Do you miss having your cuppa joe at the Long Dell Inn? To tide you over until your next visit, you can buy a Long Dell Inn hand-made coffee mug and a bag of Beanstock organic coffee (12 oz). But this time, you will have to brew it yourself!